The SmartWool Women's Hike Ultra Light is a crew sock that is specfically designed for active female feet, and can be used for running, walking and hiking. 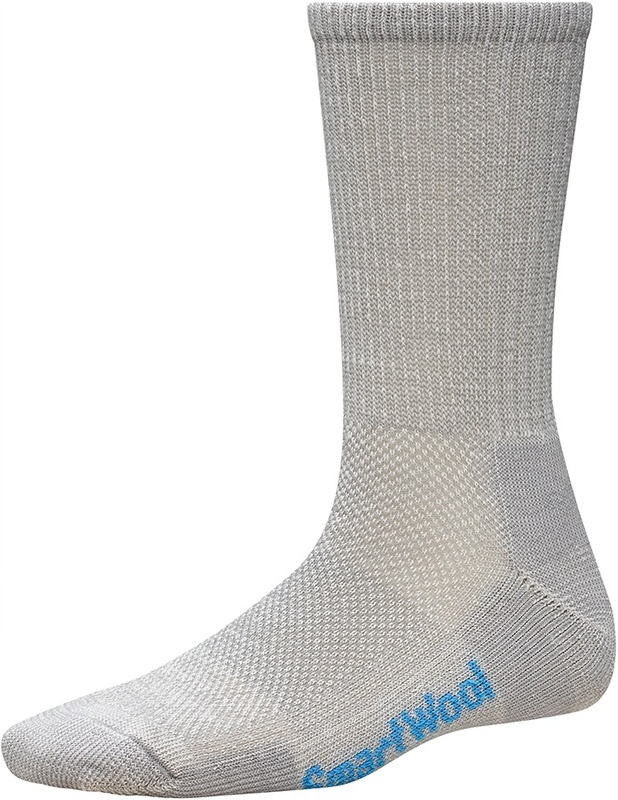 Made from a merino wool-nylon mix, these socks feel super soft against the skin, while the ultra light targeted cushioning on the balls of your feet and heels contributes towards maximum performance. The Hike Ultra Light incorporates mesh ventialtion zones for superior breathability and temperature regulation, while the elasticised arch brace gives your feet that extra bit of support - ideal for active feet!